Whether wandering down a Texas back-country road or passing by a vacant city lot, all around you grow untamed beauties, each with a story to tell. These are the wildflowers of Texas, demonstrating a tenacious spirit and diversity only topped by the Lone Star State’s people. Bloomin’ Tales brings the history of both plants and people to life with exciting legends passed down from those who chose to call Texas home: Scottish, French, Mexican, English, and the original Texans, the tribes of the Native Americans. Let award-winning author and garden writer Cherie Foster Colburn introduce you to seven of her favorite plant legends from the hundreds she’s unearthed creating school gardens across Texas. Artist Joy Fisher Hein, winner of numerous awards for her lively paintings, illuminates detail as only a Texas Master Naturalist could. Look for hidden pollinators, companion plants and the native habitats for each of the featured wildflowers.These are more than simple stories explaining how a plant got its name though; you’ll also find tales of TEXAS’ heritage, a people learning to adapt to an unforgiving land just as these flowers have done for millions of years. People say the folks in Texas have some awfully tall hats. In BLOOMIN’ TALES, you’ll find the stories of their wildflowers are even TALLER! Artist Joy Fisher Hein is a Master Naturalist whose paintings have won numerous awards and is known for her accurate illustrations of the natural world. Illustrator of Kathi Appelt’s children’s book Miss Lady Bird’s Wildflowers (winner GROWING GOOD KIDS AWARD), her art can also be found in two of the Texas Heroes for Young Readers books – David Crockett: Creating a Legend and Sam Houston: Standing Firm, both by Mary Dodson Wade. Hein lives in the Texas Hill Country. 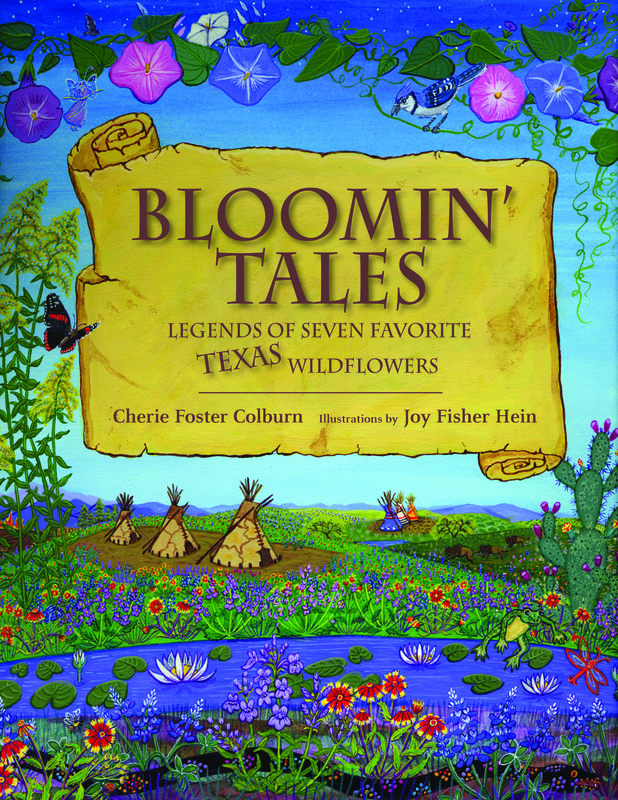 Bloomin’ Tales: Legends of Seven Favorite Texas Wildflowers is available for pre-order on Amazon.